What do you get when you combine a team of Tbaytel employees, a big bag of swag, a video camera, and then top it all off with the spirit of Christmas? Tbaytel’s 12 Days of Christmas! At Tbaytel, we believe the holidays are a time for giving and a time for celebrating the bonds that connect us all. That’s why, this December for the third year in a row, we packed up the Tbaytelmobile and hit up local businesses and deserving organizations in Thunder Bay and a handful of communities across the northwest, to help spread some Christmas cheer. Tbaytel recognized the work of deserving non-profit organizations and members of the communities it serves with a series of exciting daily holiday surprises that ran from December 1 to 12, 2018. 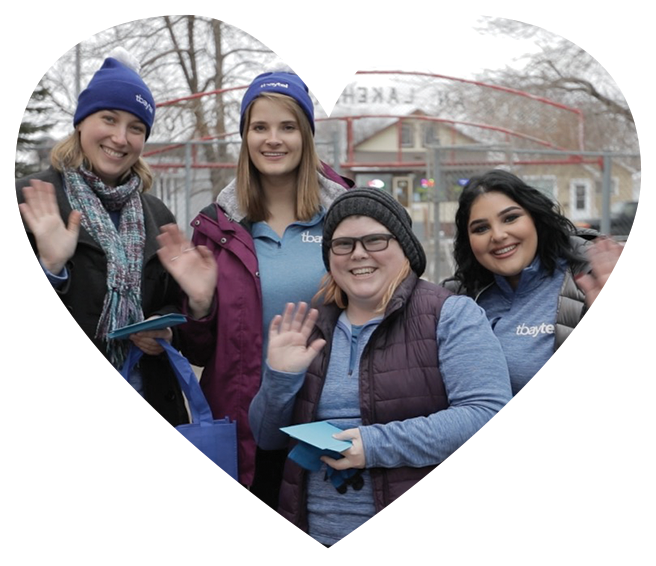 In addition to buying, wrapping, and delivering gifts, our volunteers helped out some amazing people and found out about all the great things they’re doing to make our neighbourhood the best it can be. At Tbaytel, we know that one of the things our employees are most proud of is our commitment to supporting the communities we serve, both locally and throughout Northern Ontario, which is why we introduced an internal program. The Good Employees program encourages teams within Tbaytel to search out grassroots organizations and groups in our Neighbourhood who are already working to improve their own communities. 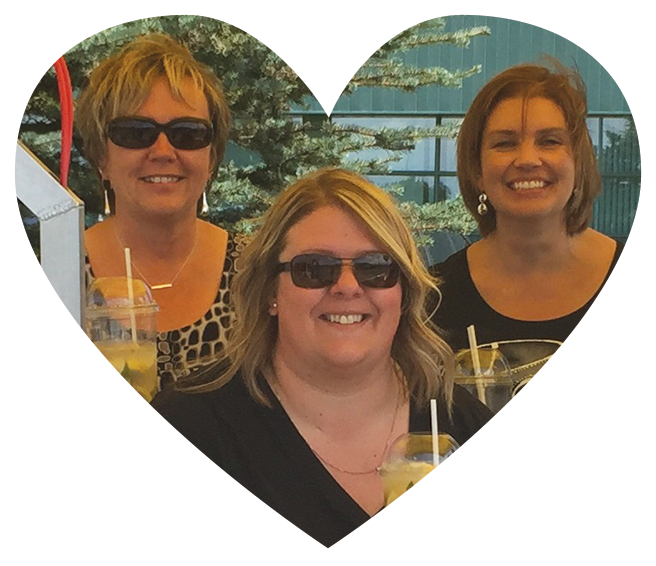 The goal is to engage Tbaytel employees and provide opportunities to give back in meaningful ways. At Tbaytel, our employees are constantly dreaming up creative ways to give back to our neighbourhood. From fundraising initiatives like popcorn and lemonade sales, raffles and themed dress-up days, to serving meals for the homeless or organizing clothing drives, Tbaytel employees love supporting good work in our community! We’ve formed some incredibly meaningful Tbaytel for Good partnerships, and we’re excited to share what their good work is all about. What do you get when you combine a team of Tbaytel employees, a big bag of swag, a video camera, and then top it all off with the spirit of Christmas? Tbaytel’s 12 Days of Christmas!